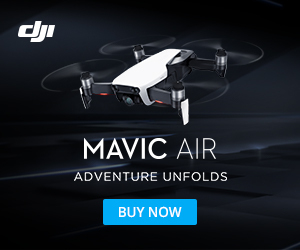 DJI has a new drone, the Matrice 100, which they call the Quadcopter For Developers. The flight platform includes the built-in technology of flight controller, propulsion systems, GPS, DJI Lightbridge, a dedicated remote controller, and a rechargeable battery. To extend the capability there is the DJI SDK where you can program customized commands for gathering information and dictating how and where the quad will fly. And with the Guidance device, you have a visual sensing system that brings automatic object detection capabilities to your aerial platforms. It continuously scans and detects obstacles in real time. And when utilized with the DJI flight controller it is possible to tell your flight system to automatically avoid a collision. And according to the DJI website, a maximum 40 minute flight time has been tested when hovering with dual TB48D batteries and no additional payload.